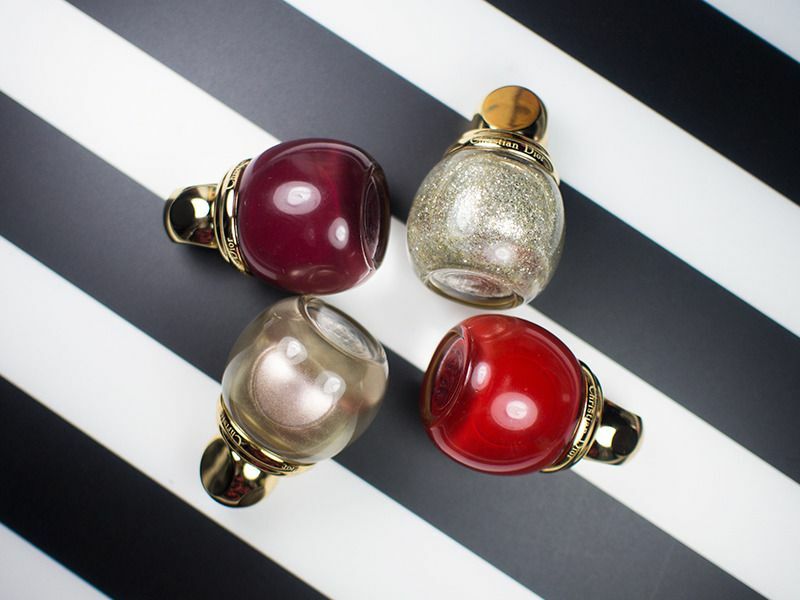 Every year Dior brings out these little pots of "gold", otherwise known as the Diorific Nail Vernis (CA $33 / US $27), for the Holiday season. 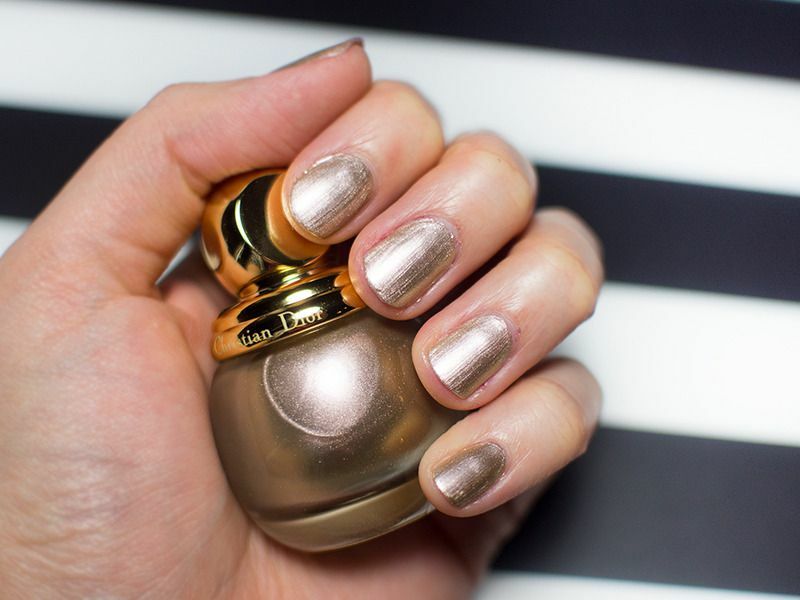 I'm not exaggerating or anything when I said "gold" because when it comes to gold nails for the Holidays, Dior knows best what to do. 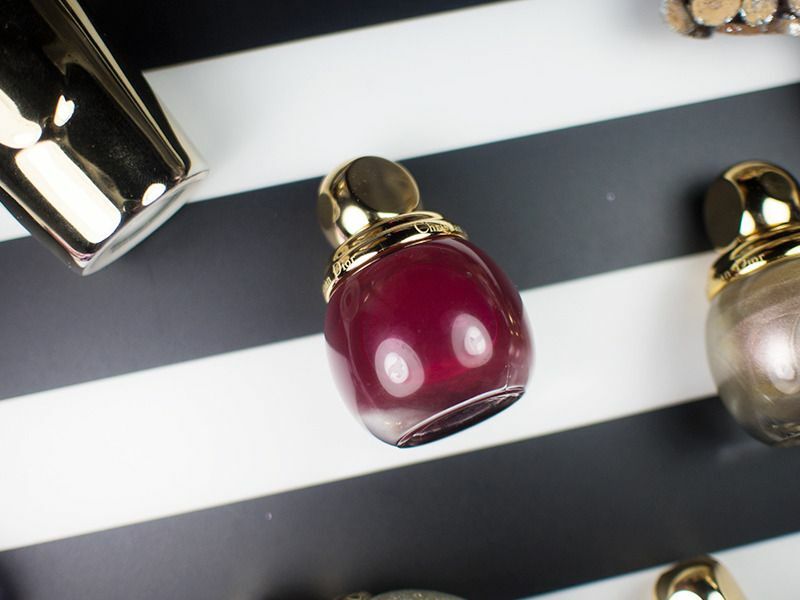 I must admit, there have been times where some nail polishes they released were not up to their usual quality. But fear not, this year, it's way up there. 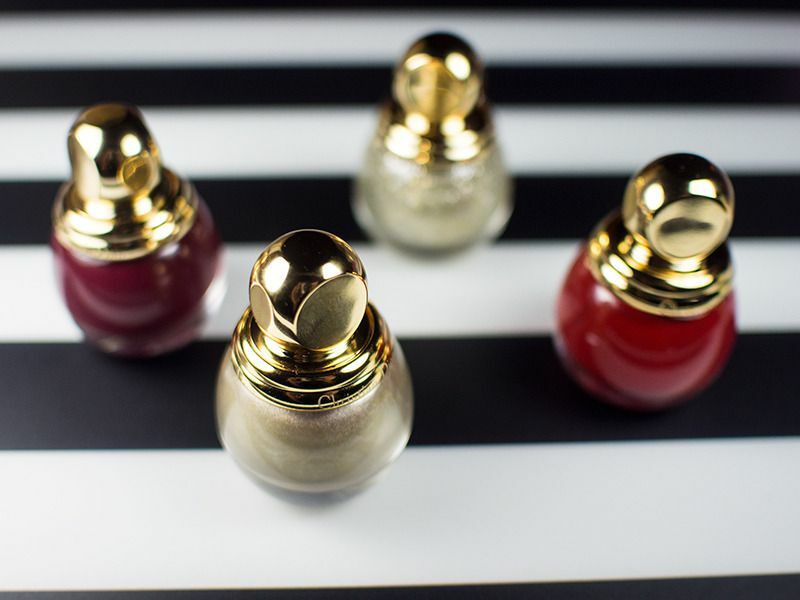 In this year's Dior A State Gold collection, the nail vernises are smooth, pigmented and easy to apply, and that's a description true to all the colours in the collection. 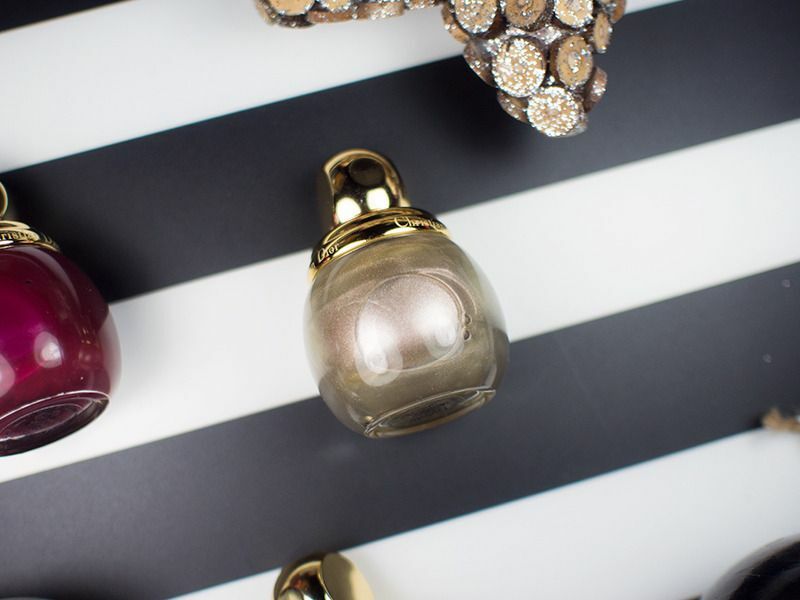 It's every nail art addict's dream. Let's start by the pot that is named after the collection—A State of Gold. 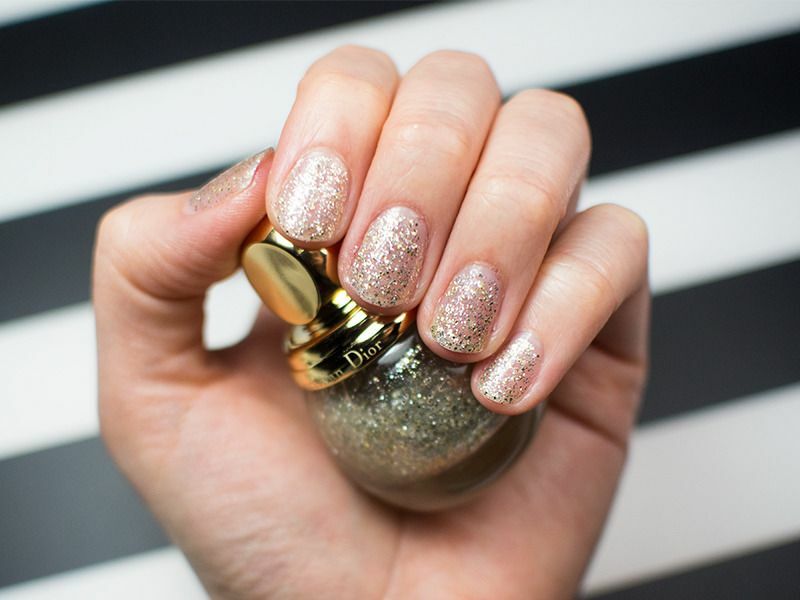 A State of Gold is a clear nail polish infused with lots and lots of gold flecks and gold micro-glitter. 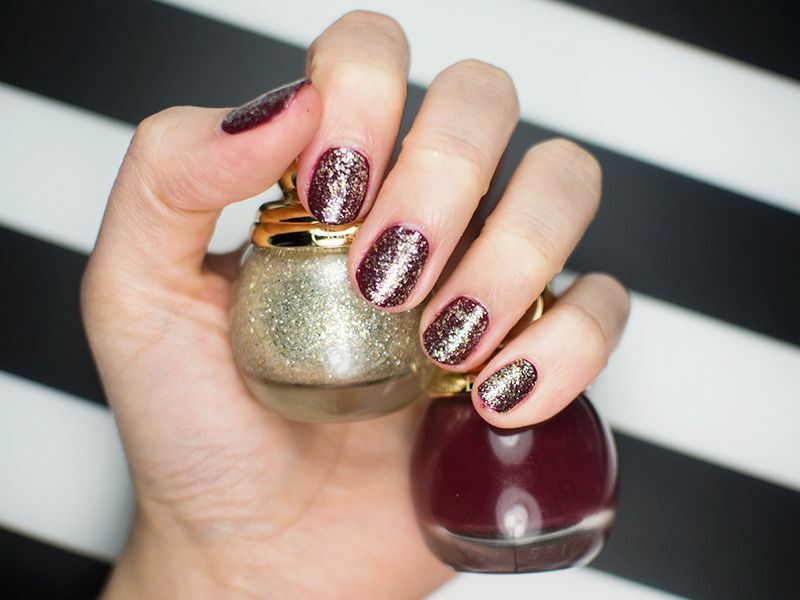 The glitter distribution is not sparse, so you can either do one coat for some sparkles, or two coats for a more opaque effect. 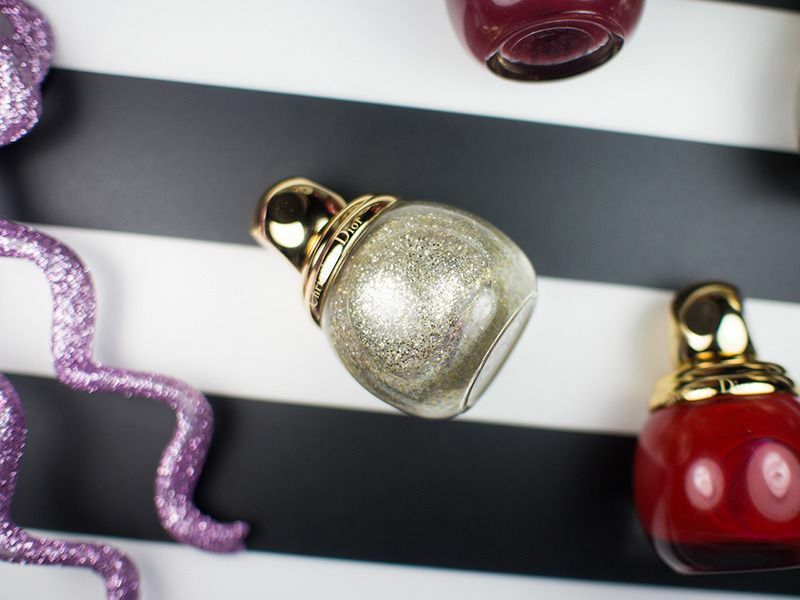 Every year, I'd get some gold glitter for the Holidays, and I think Dior got me covered. Gris-Or is pearl finish nail polish. It's pretty much a liquid pale gold. Again, one coat might be enough for some, but two coats, max, are really all you need. Passion is a hot red that is slightly more on the orange side, just a tinsy bit. 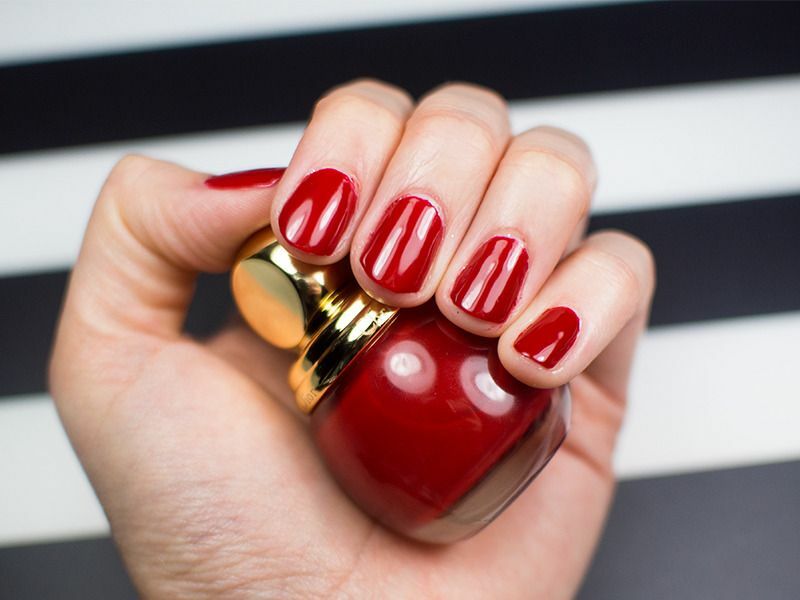 Red nails can be tricky sometimes and I normally wouldn't go for a hot red like this, but this one suits my skin tone quite well. I think those with neutral and warmer skin tone would enjoy this. (Again, 2 coats). Mystrère is a burgundy, wine kind of colour. 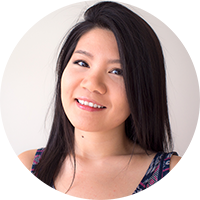 It's my favourite out of the bunch because you can wear it during the Fall and the Holidays too. 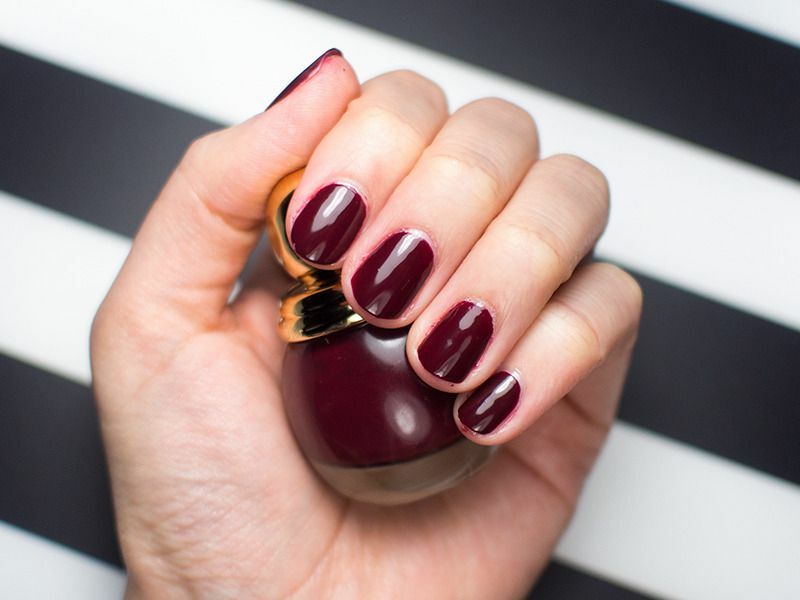 For this colour, you will need two coats to achieve a nice coverage. That being said, two coats are all you need. I also like it the effect from topping A State of Gold on either Passion or Mystère. 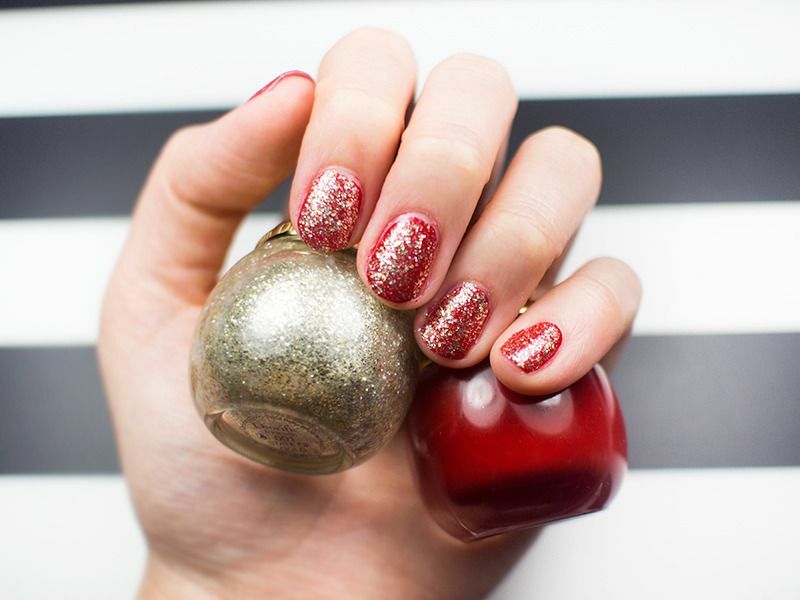 I am really impressed by the nail vernis included in Dior's 2015 Holiday collection. They are all of superb quality. On my nails, they last about 4 days to a week, depending on my activity level, before chipping. I usually change up my nails quite frequently to notice the chipping anyway. Would you get yourself some "gold" this Holiday? 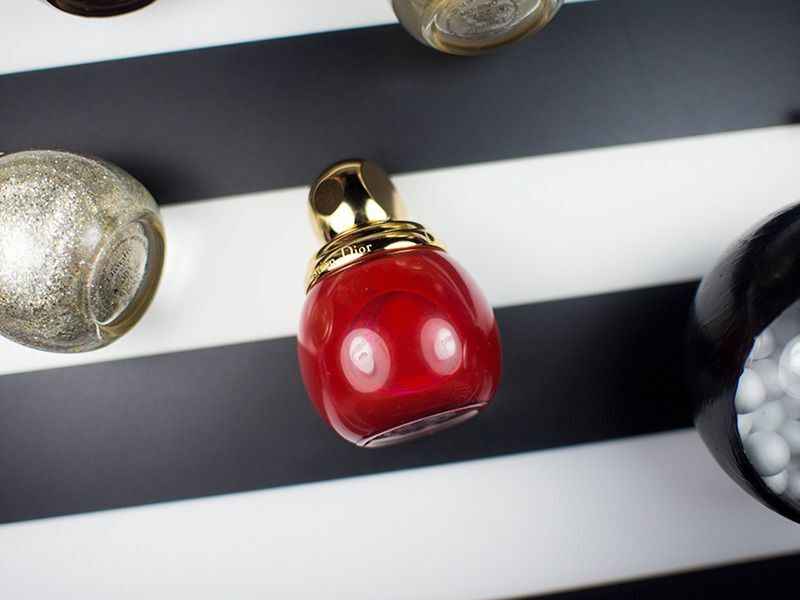 Available at Dior counteres, Hudson's Bay, and Sephora (Gris-Or only).